A duo of eye-catching occasional tables, the Key coffee and side tables' lacquered ash tops rest on powder-coated steel legs. 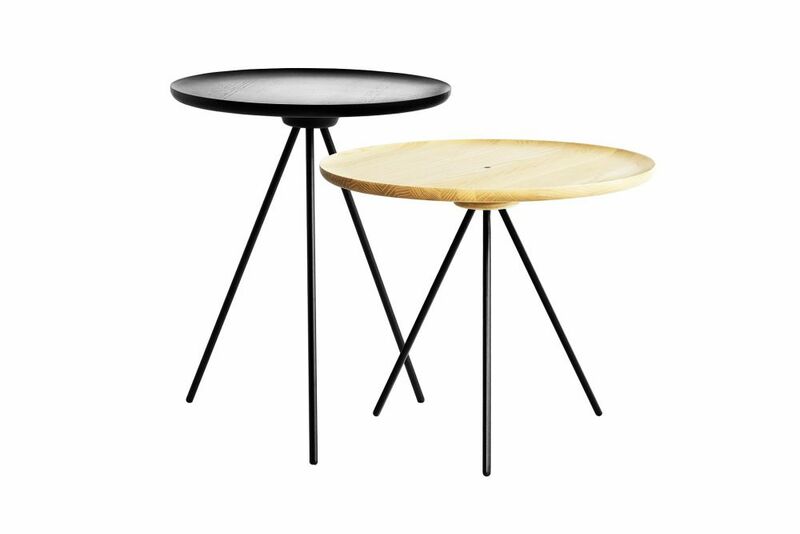 Designed by Italian-Danish duo GamFratesi, they can be built without tools in around 30 seconds - as the name Key suggests, it’s just a case of locking in the legs and you’re done - yet the solid wood table tops provide a sense of great depth and quality. The contrasting heights and widths of the two pieces mean they work well together, though each can hold its own as a standalone piece.